Garver Real Estate is a privately owned real estate investment and management company. The company was created by C.M. Garver, a Houston real estate broker and engineer. Mr. Garver has owned and operated a civil construction company BRH Garver Construction and has been a real estate investor for over 45 yrs. The primary focus of Garver Real Estate and our Limited Partnership, CG7600LP, has been purchasing and rehabilitating large warehouse complexes creating a diverse inventory of industrial leasing opportunities. 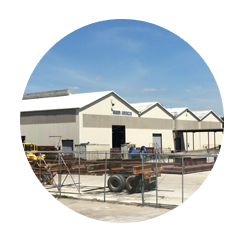 We have a portfolio of many different sizes and building types including, industrial, manufacturing and distribution facilities. CG7600LP currently owns and manages industrial buildings in Texas, California and Florida. We are now offering construction services for build to suit projects on a variety of locations in the Houston and San Antonio area. Garver Real Estate is comprised of our in house brokerage team, accounting and construction and maintenance departments. Our in house management and maintenance staff ensure that our tenants are provided a quality level of service allowing them to focus on operating their businesses. Contact us to see if we have a facility that meets your needs. 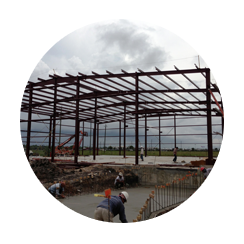 Let us build you a turnkey facility that fits your needs on one of our properties. 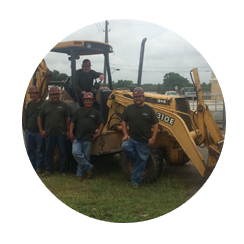 Our professional maintenance team is always available to handle any maintenance or emergency repairs for our tenants. Copyright © 2015 Garver Real Estate. All rights reserved.